No but really though, THANK GOODNESS it's Friday. Me, today. 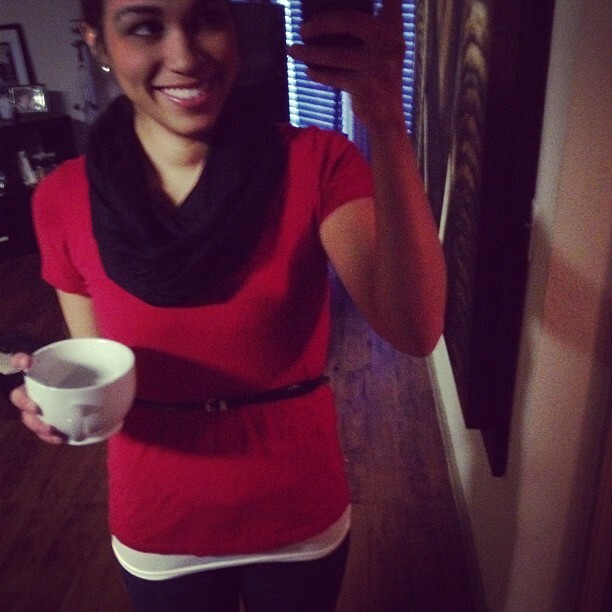 Wearing red, chugging coffee and embracing messy hair (not that you can see it!). This has been a really good week, and this weekend is looking like it's going to be great as well! Awesome things happening at work, with friends, and the bonus of it being 70 degrees all week is the icing on the cake. 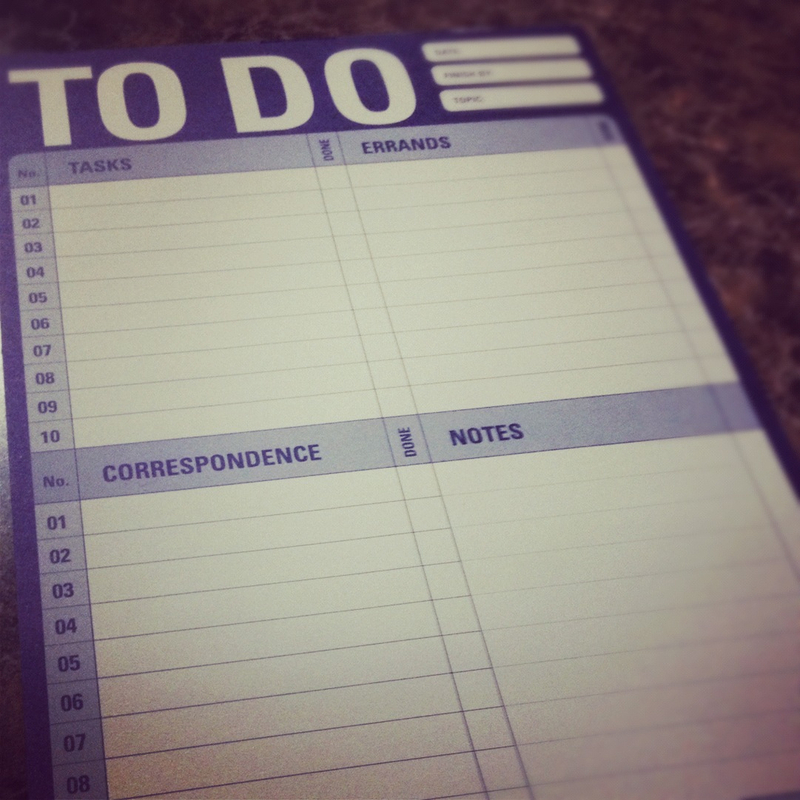 Looking forward to filling this bad boy up and having a productive weekend! Lots of work for our Phoenix Style Collective event next weekend (come! ), and of course some time spent on the blog. I'm also planning to write line items for really important things like going to the library to pick up my next book, baking, and knitting. Importance level: high. I will absolutely be making these pancakes on Sunday morning. There are few better things than Sunday brunch in my opinion. No kids to pack lunches for, but I think I need to make a batch of these homemade chocolate chip granola bites for myself! Is there such thing as a Quinoa kick? I think I'm on one. Wanting to make these pita pockets, this spicy soup and this breakfast dish. This apartment is amazing and perfectly curated, and I'm particularly smitten with the bedroom photo walls. I really love these sweet faceless paintings spotted over at katie's pencil box. Check out the artist's etsy shop for more! To me, this is perfect. A little place to store my travel hopes & dreams, a few small trinkets and my wanderlust wishes scribbled on small pieces of paper. You can find me scrounging Goodwill for used maps this weekend so I can make a few of these letters. Next year, I really want to make (or pay someone to!) a holiday card & year in review. Fun typography, letterpress, and a beautiful infographic all in one? Swoon. To gallery wall, or not to gallery wall, that is the question. Had one in my last apartment and can't decide whether I want to recreate it or not! Maybe some stacked shelves instead? Great idea with the maps! Tomorrow is 1/2 at Goodwill and I will definitely be searching for some maps as well! Oh nice! I'll definitely need to go tomorrow then!